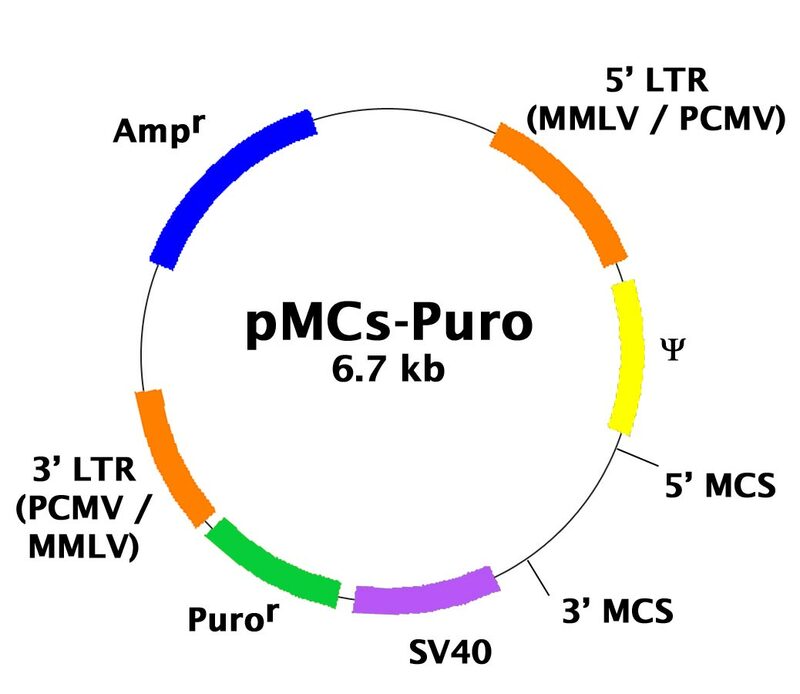 pMCs-Puro Retroviral Expression Vector | Cell Biolabs, Inc.
Handorf, A. et al. (2014). Endogenously Produced Indian Hedgehog Regulates TGFβ-Driven Chondrogenesis of Human Bone Marrow Stromal/Stem Cells. Stem Cells Dev. doi:10.1089/scd.2014.0266. Tang, Y. et al. (2014). Differential Effects of Akt Isoforms on Somatic Cell Reprogramming. J Cell Sci. 127:3998-4008. Mochizunki, Y. et al. (2013). Phosphatidylinositol 3-Phosphatase Myotubularin-related Protein 6 (MTMR6) Is Regulated by Small GTPase Rab1B in the Early Secretory and Autophagic Pathways. J. Biol. Chem. 288:1009-1021 (#RTV-041).